Do you share my love to rock and metal music in Hungarian language? If yes, then I'd like to bring this demo to your attention. 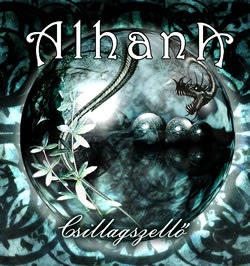 Alhana was a female-fronted symphonic metal from Hungary who self-labelled their music as "tündérmetal" or "fairy metal". Perhaps it will give you some idea of what kind of music they play ;) Of course it's only a demo, but it's good enough if you want to hear not very heavy music with female vocals in Hungarian language. As far as I know, this demo is distributed freely.